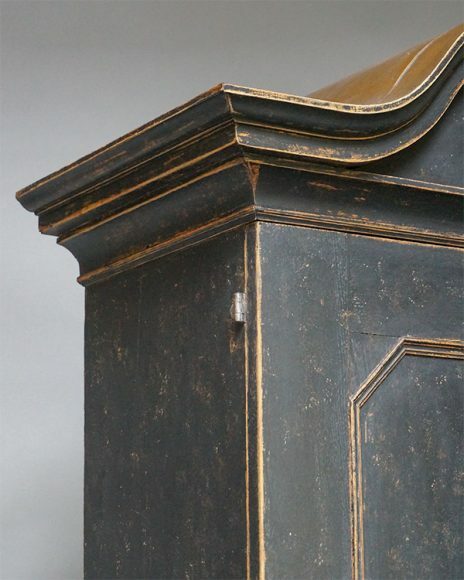 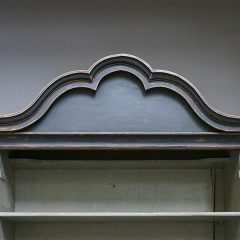 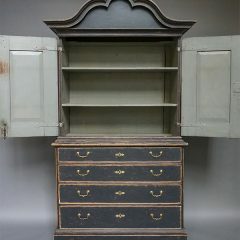 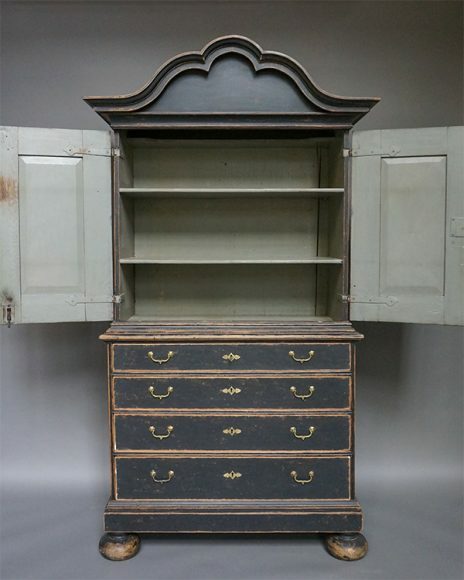 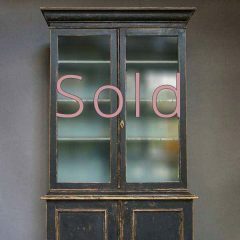 Rococo cabinet, Sweden circa 1760, in two parts The upper section has a bold cornice and double recessed panel doors with three fixed shelves inside. 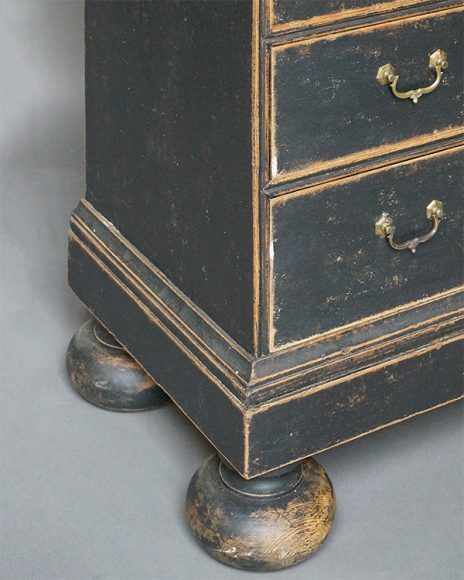 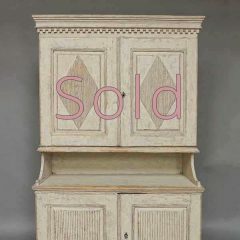 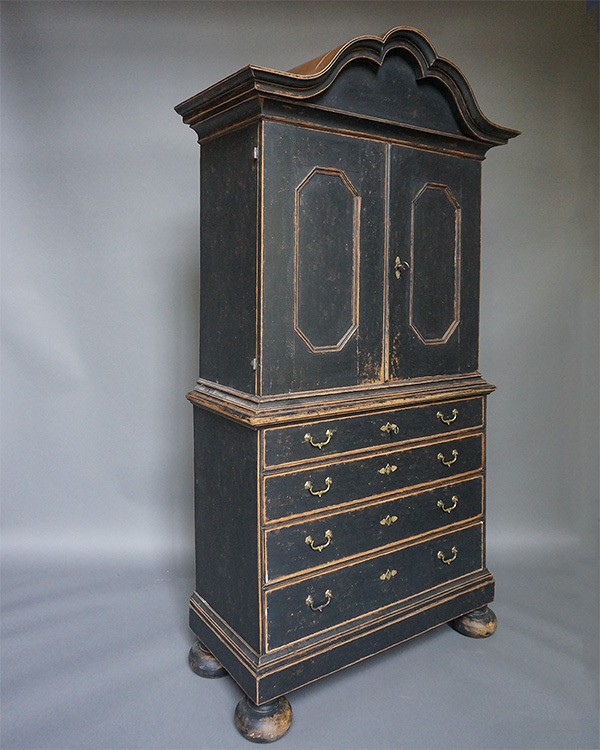 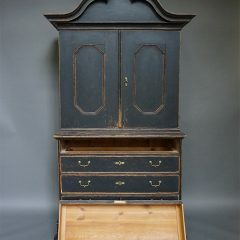 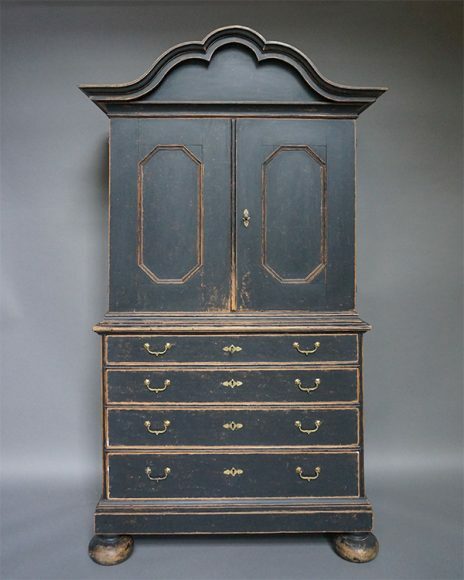 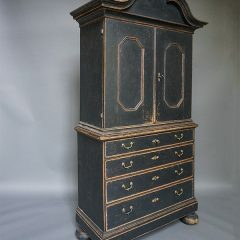 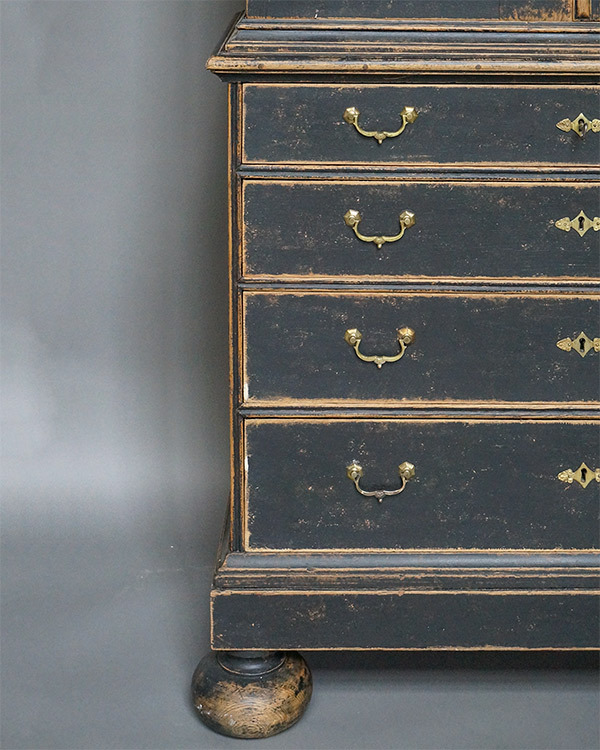 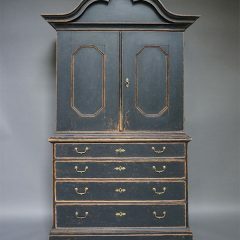 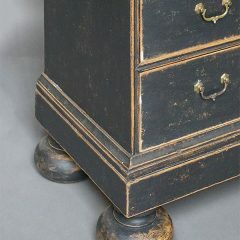 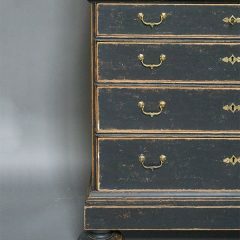 The lower section has four graduated drawers and exaggerated bun feet. 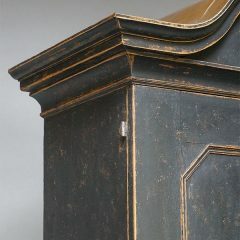 Original hardware throughout. 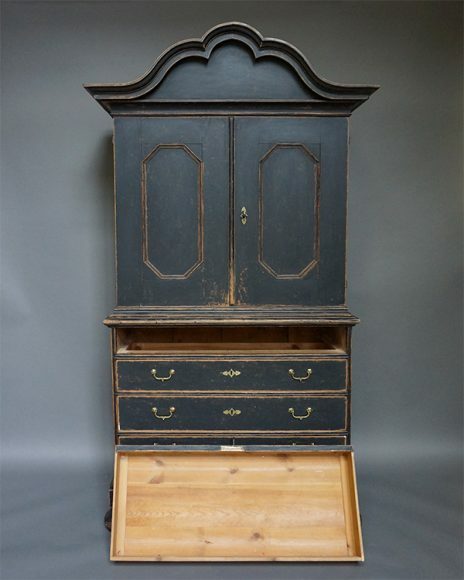 An exceptional piece.